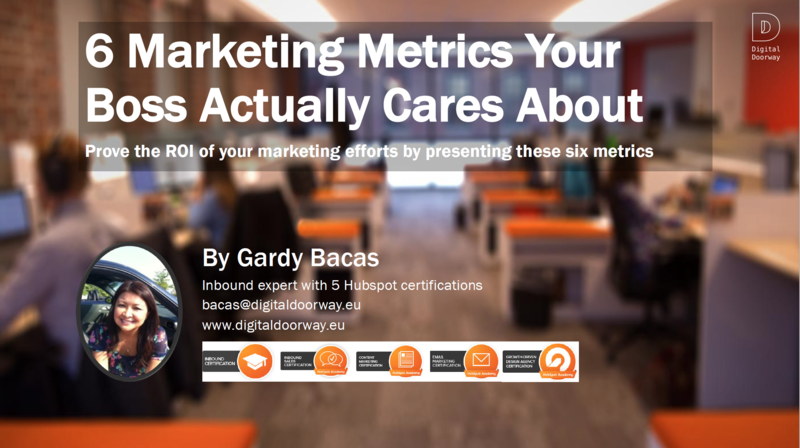 With studies that show 73% of executives don’t believe that marketing drives demand and revenue, we have to make sure that we can prove the ROI of our marketing efforts. AIIM research also found this to be challenge for marketing professionas. Close the loop on your reporting by understanding the revenue generated based on sources or pages on your website. 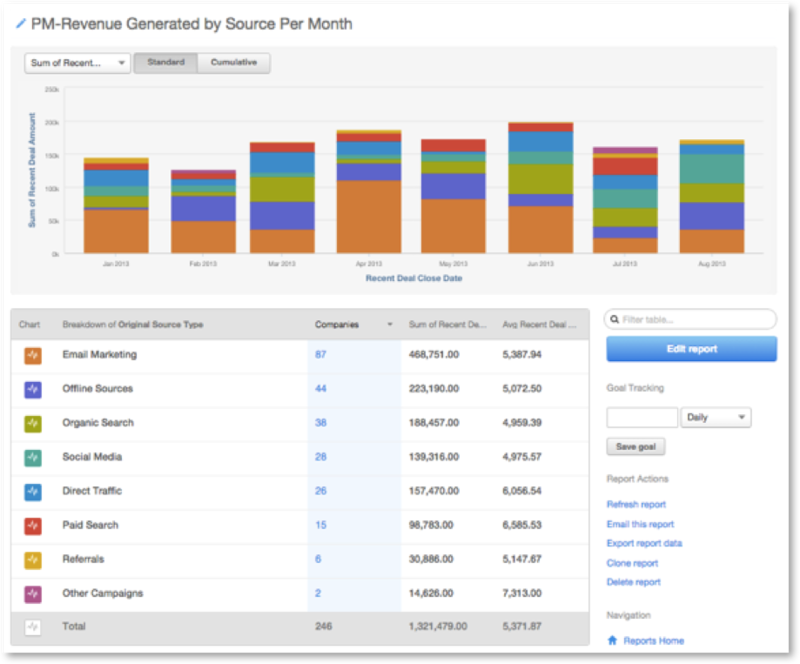 Understand what marketing efforts generate the most revenue in your database. Report on revenue based on contacts or companies in your database. With studies that show 73% of executives don’t believe that marketing drives awareness and revenue, we have to make sure that we can prove the ROI of our marketing efforts. 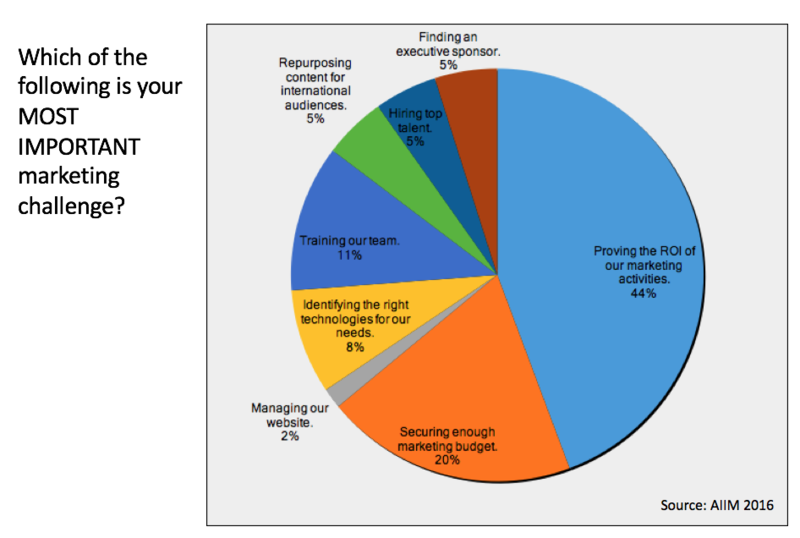 AIIM research also found this to be challenge for marketing professionals.